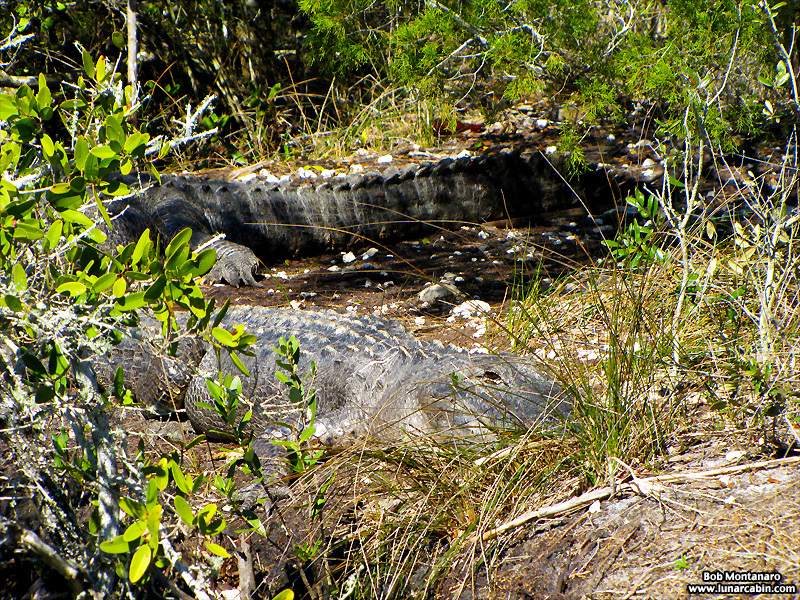 Continuing on the theme of American Alligators (Alligator mississippiensis) at Merritt Island National Wildlife Refuge, it is important to remember that they have the run of the Refuge, so when you get out of your car to walk around, be careful about walking into something like this. It could be a problem. During the cold months, the Alligators often come out of the water to maximize what heat they can get from the Sun to warm themselves.